A runaway truck ramp on Wolf Creek Pass that is rarely used. The Colorado Department of Transportation wants more semi-truck drivers to use the ramps if their vehicle is out of control. Mountain passes can be treacherous for semitrailer drivers, and one of worst in the state is in Southwest Colorado. 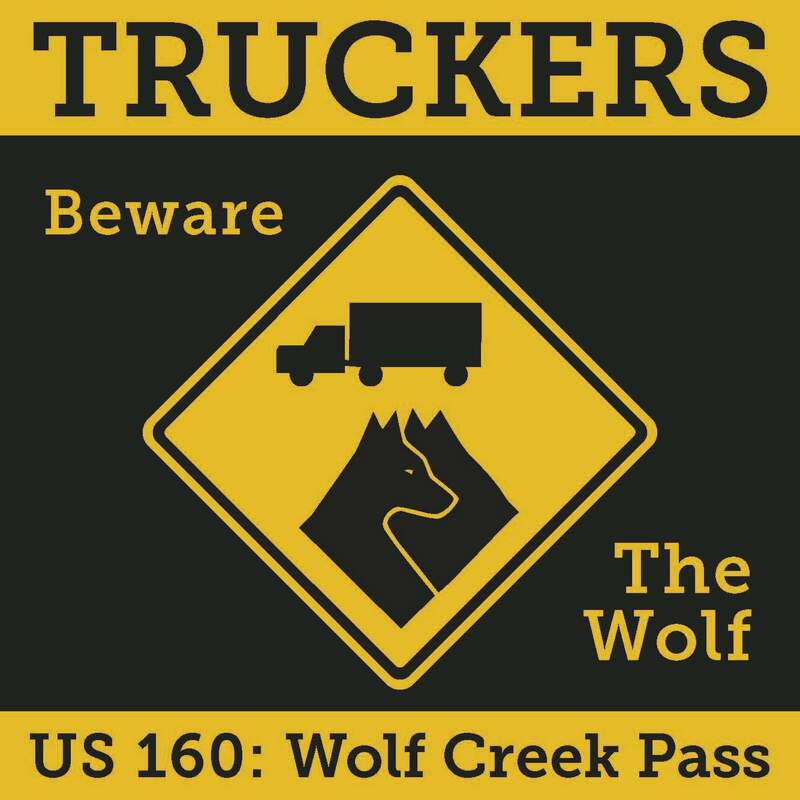 In fact, the Colorado Department of Transportation has a “Beware the Wolf” campaign to warn warn truck drivers to use extreme caution when traveling over Wolf Creek Pass on U.S. Highway 160. Between 2011 and 2015, there were 49 semi-truck crashes, two of them fatal, on the west side of Wolf Creek Pass, according to CDOT. Most of the crashes occurred at the hairpin curve near the scenic lookout. “Trucks get going too fast and they don’t have control of their brakes, and then pretty soon they can’t control the truck,” said Bob Pentek, the CDOT deputy superintendent of maintenance. The main problem in most crashes is the truckers descend in too high of a gear, Pentek said. In most wrecks, Colorado State Patrol troopres estimate that trucks are going upwards of 50 mph, with many reaching speeds of 60 or 70 mph. Most semi-truck crashes on the pass occur during the summer. Pentek believes that’s because initially, the pass isn’t steep and has two lanes, which can be misleading for big rig drivers. By the time the incline starts increasing and the road narrows up, drivers haven’t switched to lower gears. Mark Yager, a trucker and former Pagosa Springs resident, concurs with Pentek’s assessment. Pentek believes Red Mountain is intimidating to truckers because the chances of survival are slim for a crash on that pass. However, trucks are way more likely to use Wolf Creek, which has a far higher number of crashes. CDOT conducted a road safety audit last summer to identity potential issues and determine any improvements that could help. One recommendations was to increase signs on the pass, which would include more speed limit signs, more runaway track signs, and signs that show the grade of the decline. The speed limit for westbound traffic varies from 25 to 45 mph, however commercial trucks must obey a 25 mph speed limit. CDOT believes more signs will help, as drivers who lose control of their rigs usually can’t read the signs while going that fast. “Just imagine going by those signs at 70 mph,” Pentek said. Yager said that truck drivers aren’t trained to use runaway truck ramps, which could account for low useage. Hickox said in his experience, the ramps are mainly for drivers who are inexperienced. 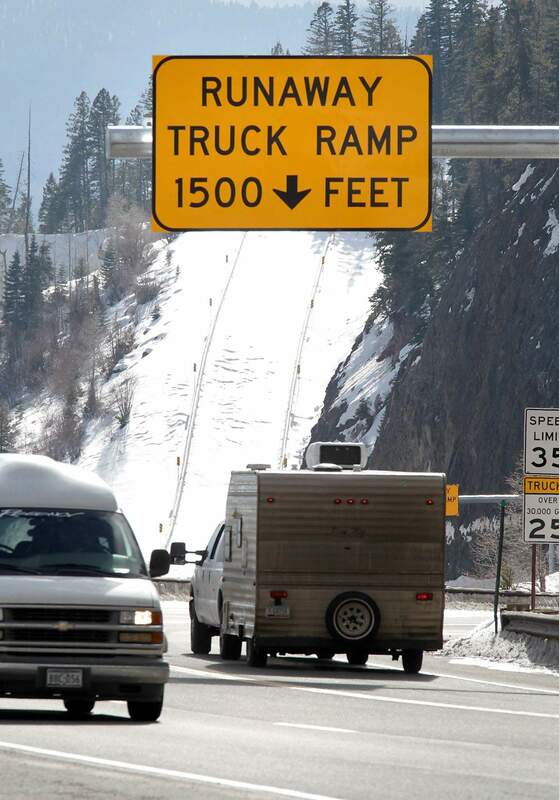 He believes most truckers who use the ramps don’t adequately prepare for passes like Wolf Creek. Pentek believes there is a perception among truckers that if they use a runaway ramp, they would face prosecution. “That’s not the case. If you are in an emergency situation, and you have to take the runaway ramp, by all means take it. That’s what they’re there for,” Pentek said. Truckers who use a runaway ramp must meet with the State Patrol and pay the cost of getting out.